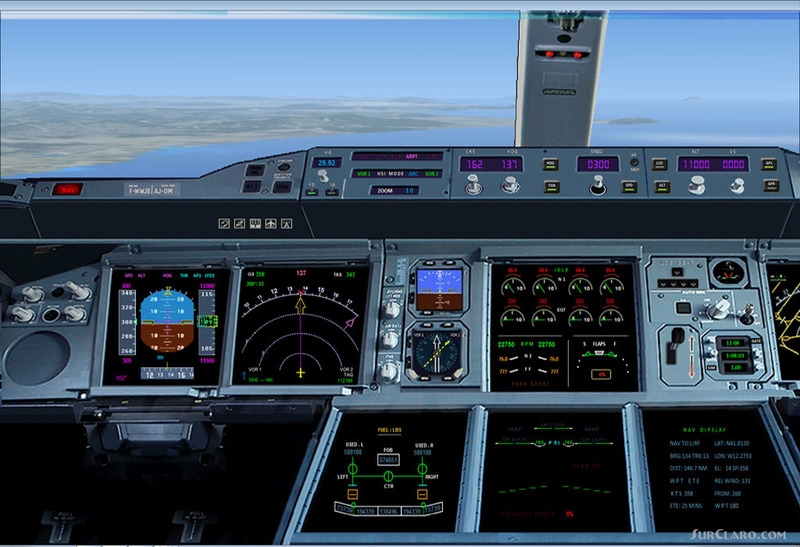 Airbus A380 Panel For FSX only. Copyright (c) 2011 Pasquale Rinaldi. All rights reserved. April 2011 E-mail heraklionatlibero. it Thank you for downloading this panel. Highly detailled panel for Airbus A380. Installation. Unzip the contents of AirbusA380FSX. ZIP file to a temporary folder. Open the unzipped folder AirbusA380FSX move the unzipped folder a380 into your FSXGauges folder. move the unzipped folder Panel into your FSxSimObjects Panel of your choice. Freeware This panel is released as Freeware. As Freeware you are permitted to distribuite It! NO MODIFICATION FOR DISTRIBUTION WITHOUT EXPRESS PERMISSION OF AUTHOR. Airbus A380 Panel FSX. Rating: 10.00 of 10 over a total of 1 reviews.